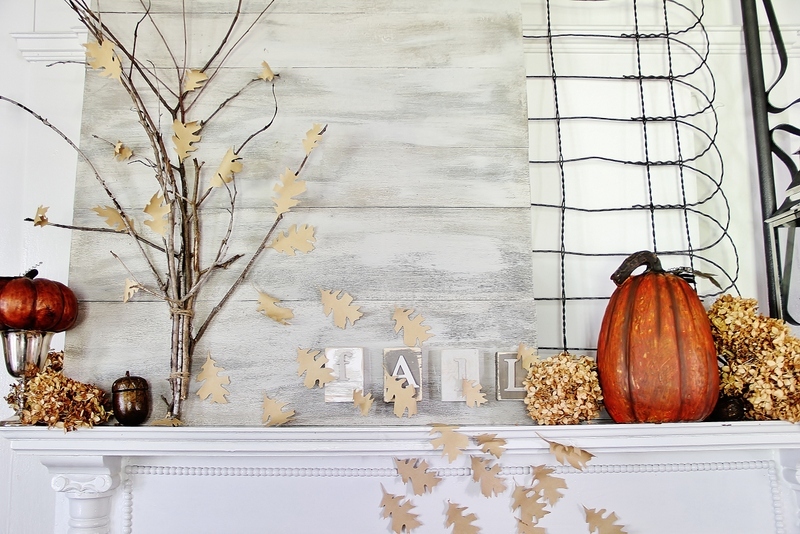 I’ve been itching to decorate for fall since… Last Christmas? 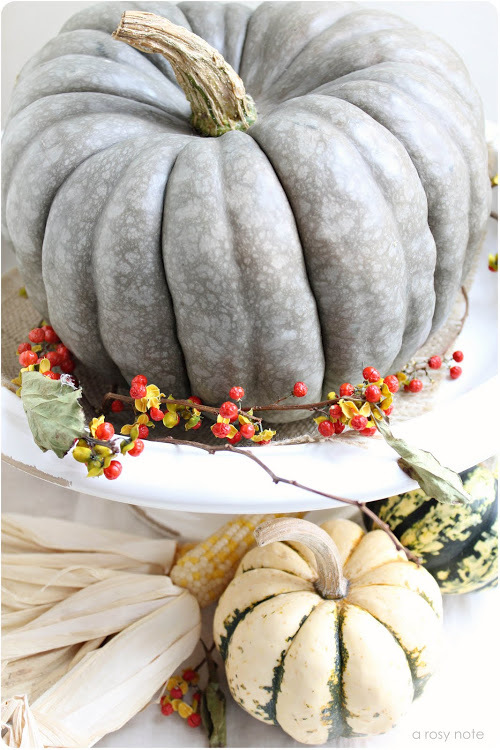 I love the rich colors, welcoming textures and pumpkin-apple-spicy scents. 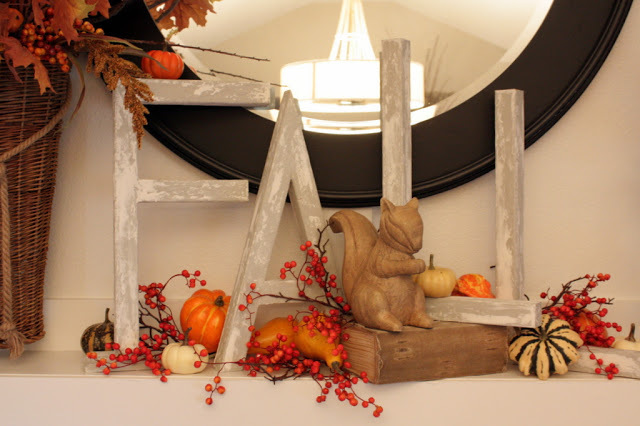 My living room is currently filled up with totes of all my autumn stuff waiting for some direction. Where better to look for direction than Pinterest? 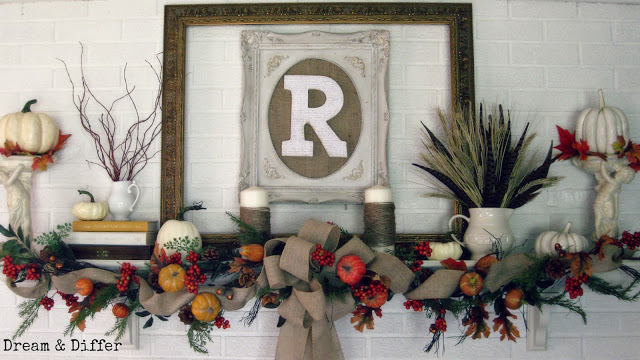 I’ve rounded up 10 lovely autumn displays including mantles, tables and entire rooms. Trust me when I say these clips only scratch the surface! 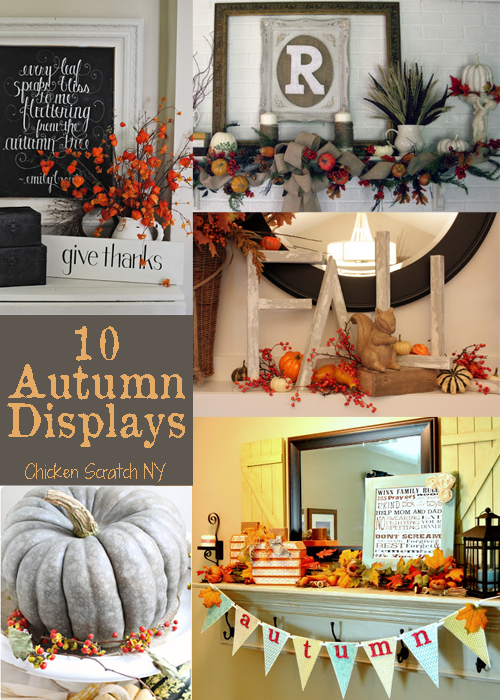 You’d be doing yourself a disservice if you don’t click over to the blogs! Looking through my selections I’m noticing a clear lean to the white and simple side of things. 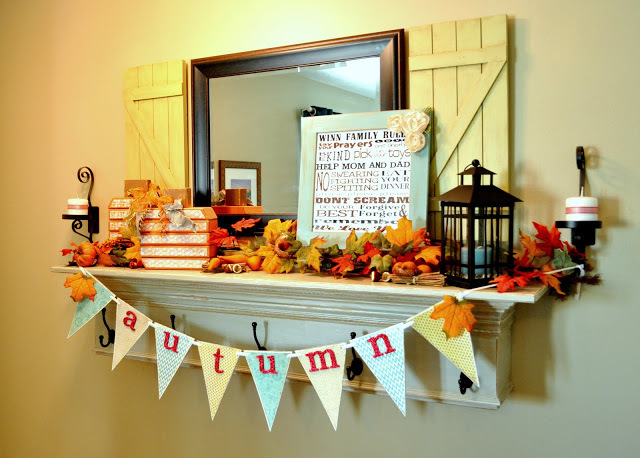 Autumn Mantle with Barn Shutter Tutorial from Sassy Sanctuary – I love the cheerful colors here, and I’d love to make some shutters like! 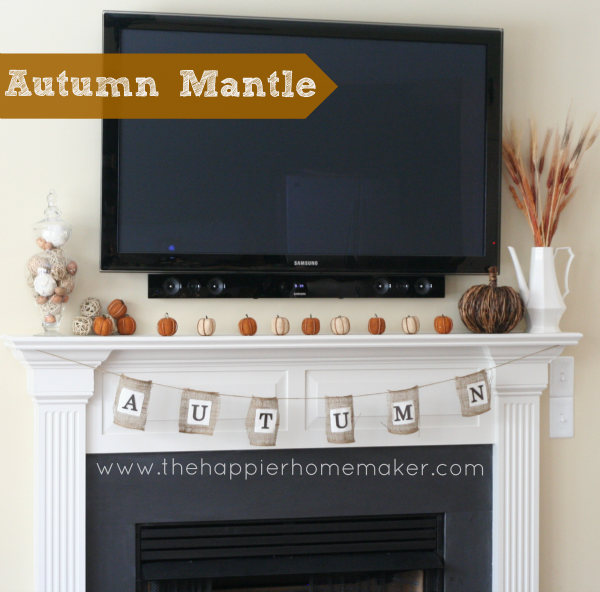 Fall Mantle from Thistlewood Farm – Another neutral mantle, my favorite part is the way the leaves drift down the sign over the FALL blocks and down the fireplace. 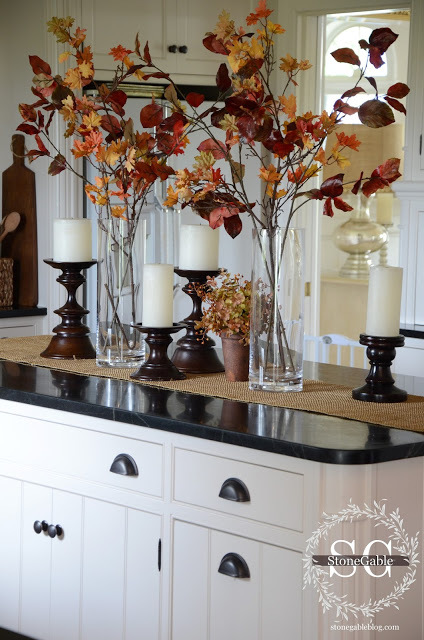 Autumn Living Room from Dear Lillie – This vignette is clearly a show stopper but do your self a favor and check out the whole post, my favorite part is the apples in the rusty birdcage. 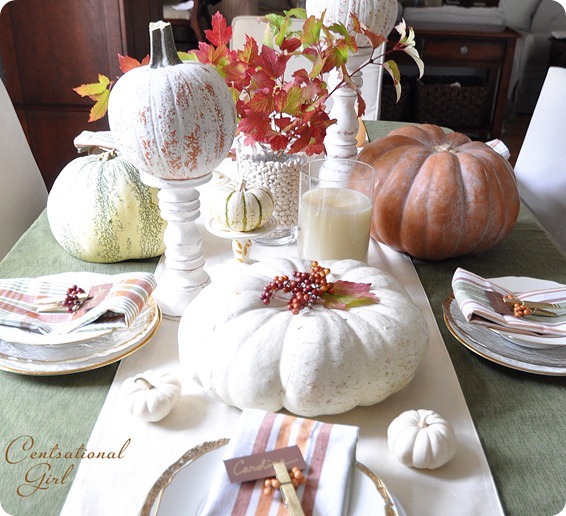 Autumn Dining Room from Centsational Girl – I’m loving the toned down colors and the way texture is so important in this set-up. 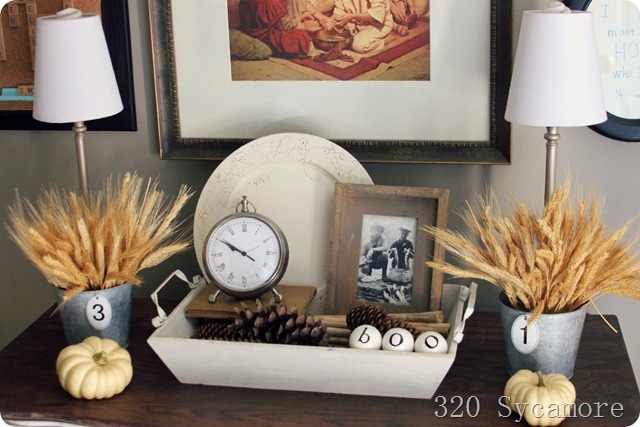 Click over to the post to check out the adorable corn husk pompoms!